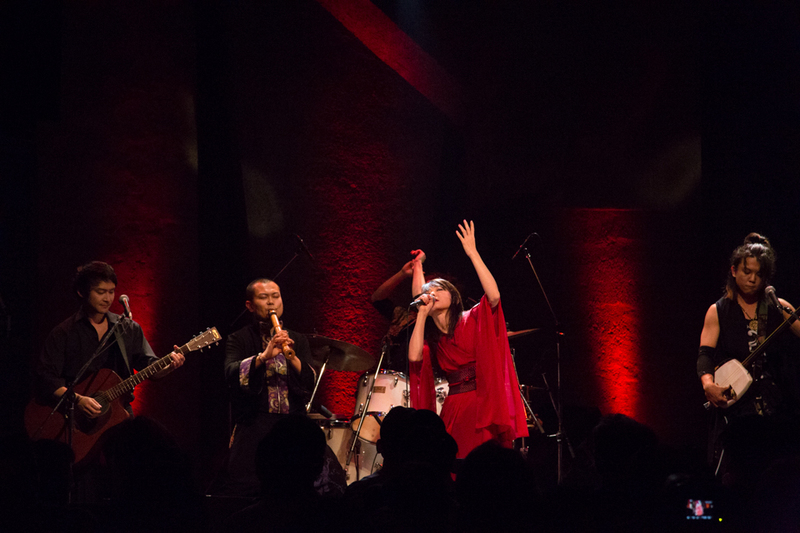 KAO=S at 吉祥寺 STAR PINE'S CAFE November 20th, 2015.
lead you to understand what the song is about even without knowing the Japanese language. season in the year. 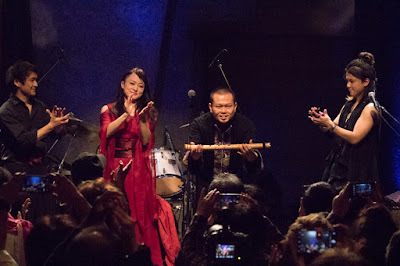 "ONE" and "Maboroshi" feels like spring songs, follow it for the romantic, "Cradle" as a song for summer. "Taimatsu" is a fall song and finally with "Saku" and "Kurode Bushi" you can sense the intensity of winter. Aside from the songs already mentioned, I should talk about songs like "Kitsune-bi" and "Roaring Tokyo" where the groups performance gives you goose-bumps of excitement. 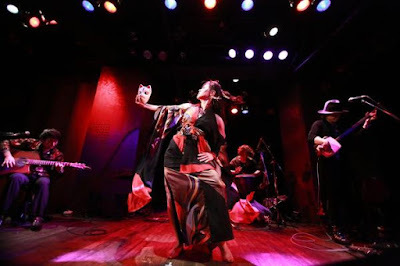 Shuji (Acoustic guitar) and JACK (Shamisen) play their instruments with so much passion accompanied by a wonderful dance of Kaori you can easily understand the story behind "Kitsune-bi". With "Roaring Tokyo" the first word that comes to my mind is outstanding. 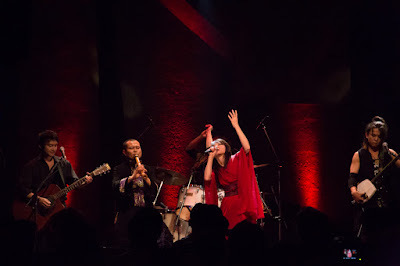 Kaori shows so much energy dancing with the sword, Shuji and JACK together with their guest musicians Kazu (drums) and Daisuke Kaminaga (Flute) rock the stage and you totally want to just jump off your seat and join them on the stage. Channel “J-Melo” as part of the top 10 'Breakthrough artist showcase of 2015'. What project do they have for 2016? Many. One of them is a tour in America to kick off around the time of their showcase at this years SXSW in Texas, so get ready for them! countries and physically on January 20th, 2016 which we will keep everyone posted for where to purchase this amazing music. I invite you to check more about KAO=S through their official social networks on Facebook, Youtube ,Twitter, and official website. 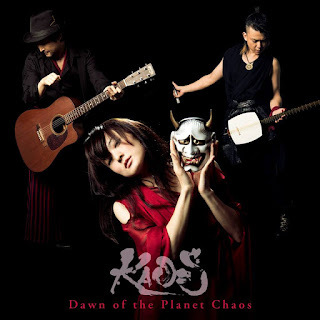 We welcome you to the 'World of KAO=S'. 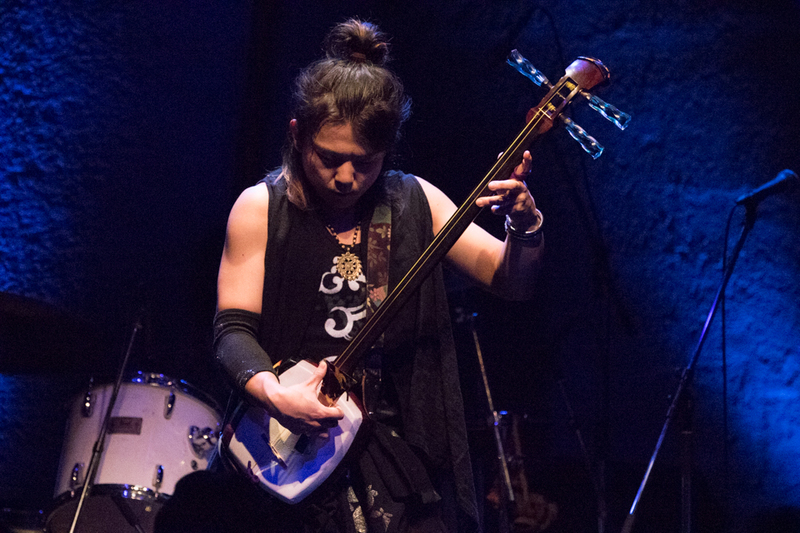 If you missed part one of our interview with KAO=S please check it out here. It is in Japanese but is subtitled in English. Spanish translations will soon follow.